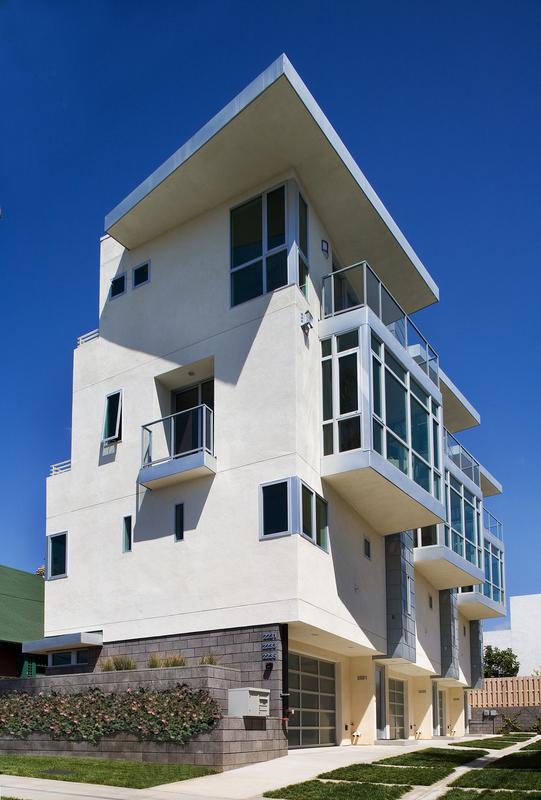 The design challenge for the Front Street project was to create three private homes on a 50’ x 100’ narrow infill lot that overlook the city and the bay, while providing a feeling of individuality and privacy for the occupants. A landscaped motor court provides the transition from the street and allows for a sense of community. 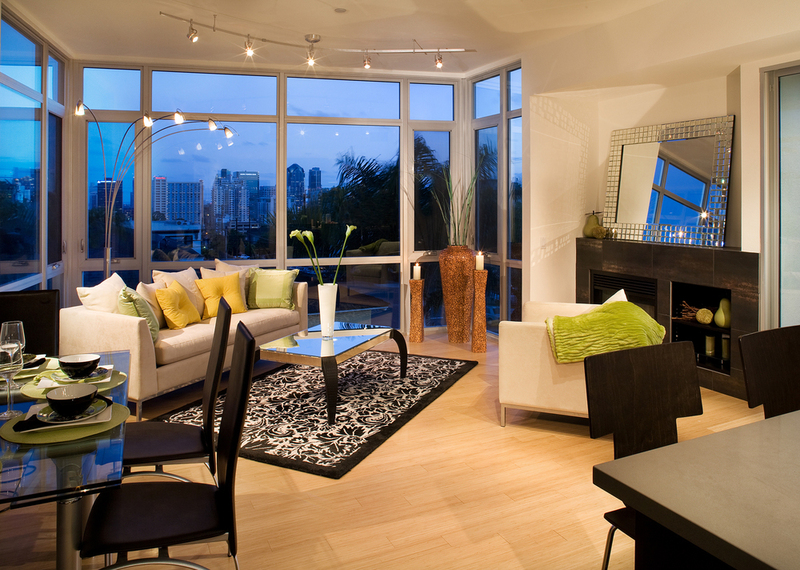 Each four story home is approximately 1,900 square feet and includes a two car garage. Entry to the homes is at level one with a circulation stair leading up to the level two bedrooms, the level three living/dining and kitchen areas, and the level four master bedroom suite and terrace. 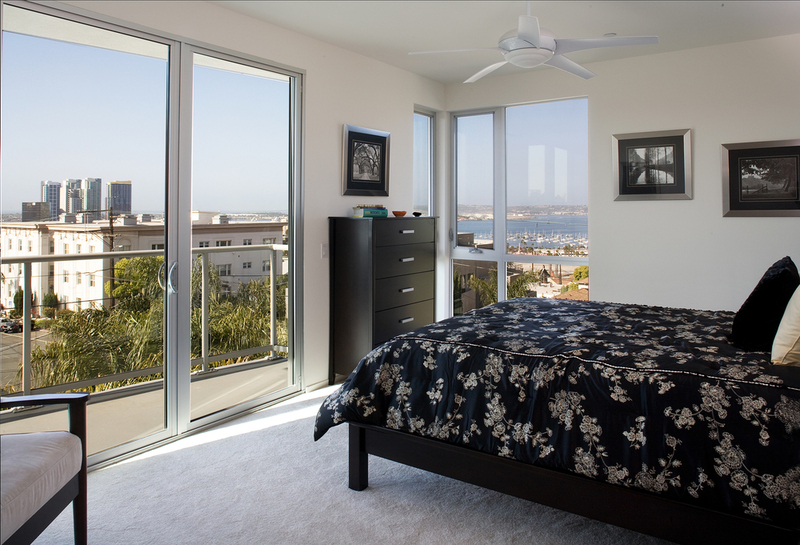 The floor to ceiling windows in the living areas capture the city and bay views while providing daylight and solar comfort. 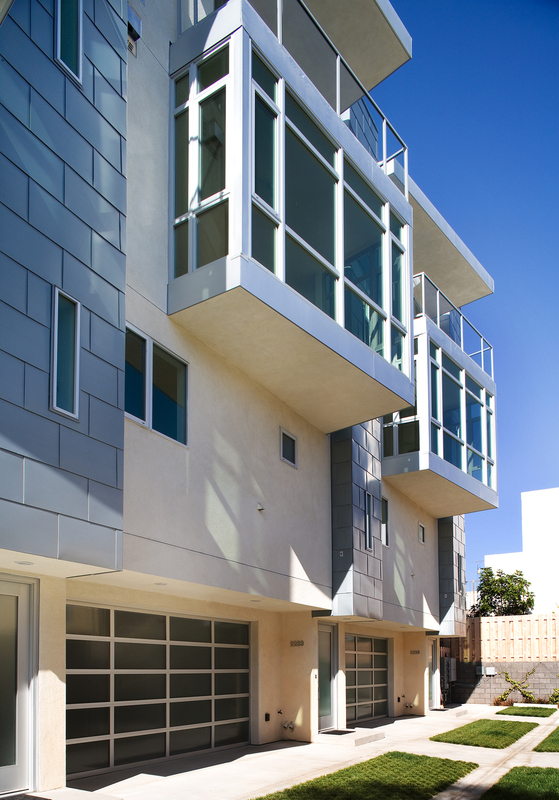 The architecture is contemporary modern in form with white stucco massing, Rheinzink metal siding, frosted glass garage doors and aluminum framed windows and doors. Long, angled overhangs provide shade control and directional form, while the cut face masonry at level one identifies the base and provides terraced landscaping.